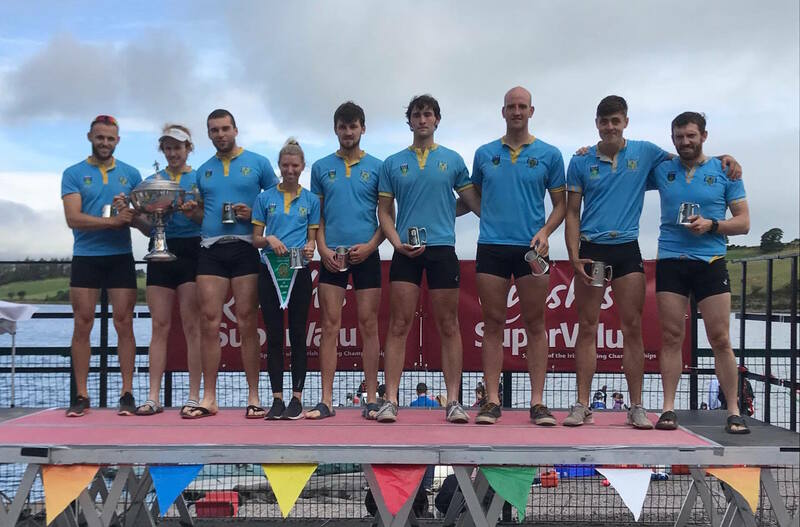 College’s first race of the weekend was a straight final in the Mens Novice 4x where UCD finished 4th with UCC the winners. 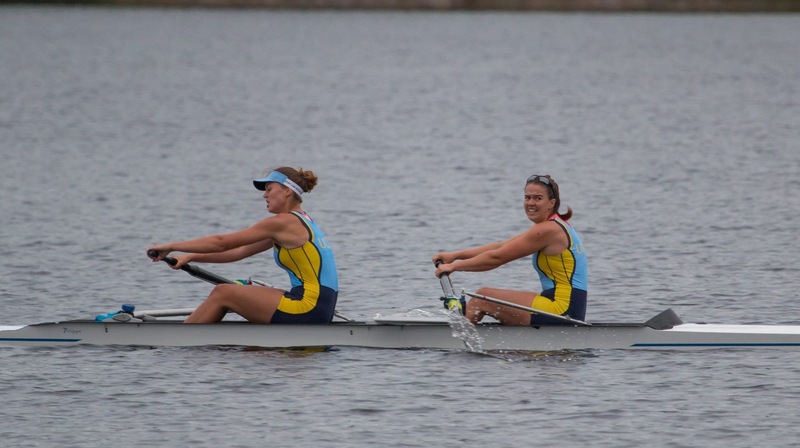 Next up was Womens Novice 4x where equipment failure meant that UCD could not progress from their heat. 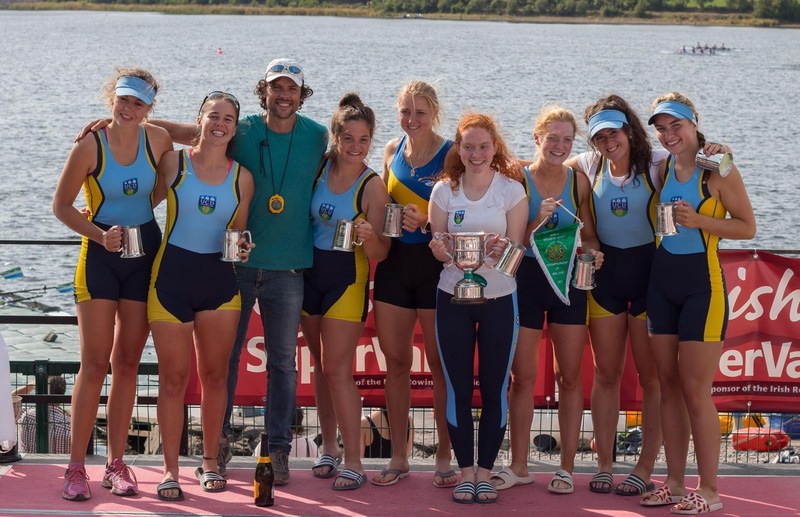 Womens Intermediate 8+ was a straight final that saw a strong Cork Boat Club take control early on with a 2 length lead at 1000m over UCD who were neck and neck with Galway, NUIG and Trinity. Cork could not be caught with NUIG finishing 2nd by 10 seconds and UCD 2 seconds back in 3rd. Mens Intermediate 8+ was a straight final with two UCD crews alongside Commercial, Cork, Queens and Trinity. 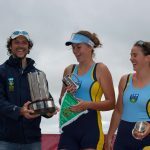 UCD A contained several athletes who had finished 2nd in this event in 2015 and 2016 but this time they took an early lead of just under a length that they held down the course, eventually squeezing out to just over a length. 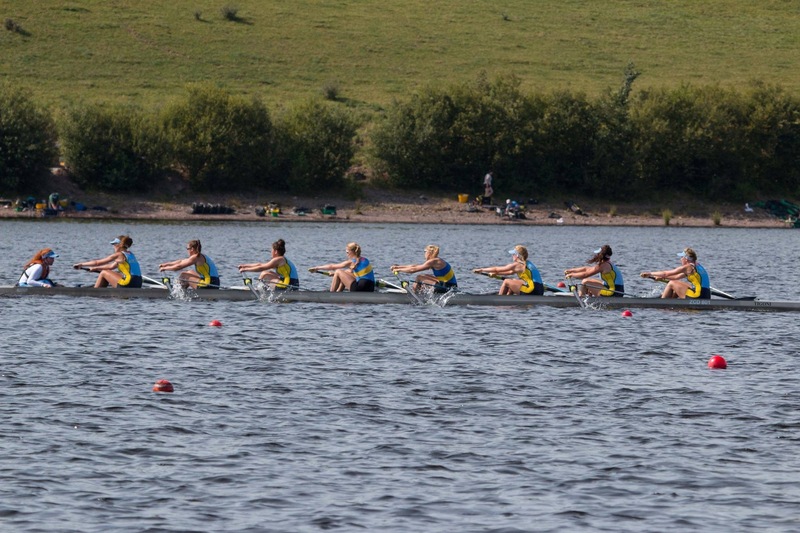 UCD B led the rest of the field, producing an excellent performance to finish 2nd, 1/3 length ahead of Trinity in 3rd. Coman O’Connell raced well in the Mens Intermediate 1x but just missed out on progression from the heats by 3 seconds. 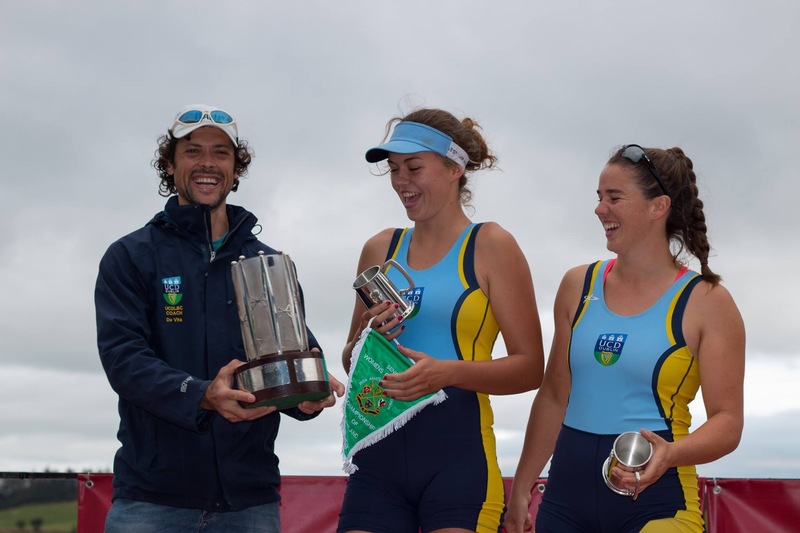 UCD’s Womens Senior 2- progressed safely through their heat, 11 seconds behind winners Skibbereen but not troubled for qualification, with the final postponed until Sunday due to weather conditions. Mens Novice 8+ was a fine performance from UCD, neck and neck with Queens at 1000m and 2 lengths clear of 3rd placed Trinity. 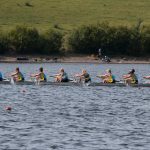 However Queens were able to push on in the second part of the race and finished 1 1/4 lengths ahead of UCD who were well clear of Trinity. 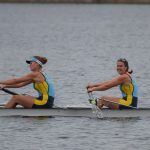 The final of Womens Senior 2- was an excellent UCD performance. 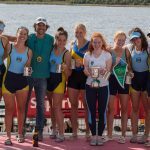 They led for the race with Skibbereen, Cork and Bann not far behind until 1500m when UCD stepped it up and pulled away to win by 10 seconds. 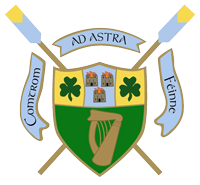 In the Womens Senior 8+ UCD were joined by Old Collegians Claire Lambe and Sanita Puspure to form a composite that took the lead in the middle stages of the race and held on to it, finishing 3 seconds clear of the Skibbereen/UCC composite with NUIG/Cork a further 6 seconds back in 3rd. Mens Senior 8+ again saw two UCD eights in the entries. Commercial led from the start but UCD A were in the mix at 1000m. However the field moved on and they fell back to finish 5th, with UCD B in 6th. 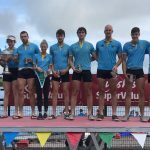 Full results are available at Rowing Ireland.